Your Guide to places to eat and drink in Warkworth. Below you will find highlights of some of our preferred places to eat, a full list, along with web links (where available) is provided towards the bottom of the page. If you eat at any of these places be sure to mention where you heard about them! 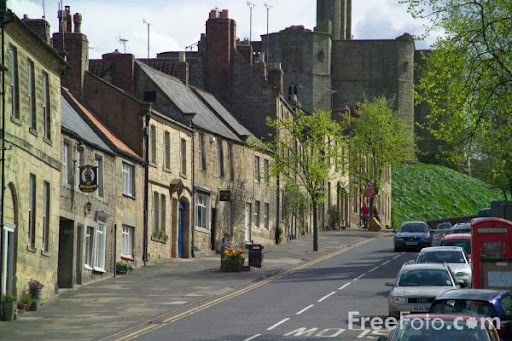 Our featured places to eat are all marked on our interactive map of Warkworth or Buy a full guide of where to Eat and Drink in Northumberland. owners is legendary and the service attentive, without being oppressive, the chef often comes out to talk to customers. The food quality is also excellent, locally sourced, well presented and the Sunday Lunch is simply outstanding. Can you tell we like the Jackdaw Restaurant? Don't miss out if you're visiting Warkworth, remember to book to avoid disappointment, because you will probably need to. This is a very friendly and popular pub with traditional hearty meals and a beer garden with plenty of seats. The main reason we're highlighting the Masons Arms though is because it is very pet friendly. A lot of people stay in Warkworth and the local area with their pets and we'd definitely recommend a visit here with your pooch. There's a nice grassed area outside in the beer garden, but they're also welcome inside the bar as well and that's something you don't find too often these days. Very similar to the Masons Arms (and very close by), the Hermitage Inn is a traditional Village Pub. Like the Masons Arms they also allow dogs in the bar area, but it's a bit more lively in here with sky sports and live music on Friday evenings. They are known locally for their fish pie, some even say it is the best in Northumberland! Cabosse is a luxury Chocolaterie that sells hand-made chocolates, patisserie and also has a lovely Tea Room. Owner Louise Frederique worked with the likes of Rick Stein and studied at L'ecole Cordon Bleu in Paris before settling in Northumberland and creating her own unique line of luxury chocolates. The Tea Room is located at the rear of the shop, where they have a special 'Hot Chocolate' that is almost the pure essence of chocolate itself! A great little Cafe and coffee shop in the daytime offering home cooked food to eat in or take away, and a lovely intimate Bistro in the evening. They have a good children's menu, are generally child friendly and it's one of the few places in Warkworth where you can get food to go. As with the Jackdaw Restaurant, space is limited, so booking is essential in the evenings and weekends if you want to avoid being disappointed. Located on the road to Acklington, Morwick Dairy Ice Cream is signposted as an 'Ice cream Factory' about two miles out of the Village. It's a small dairy shop with very little else on sale but ice cream, but what ice cream!! We can't seem to go by anymore without stopping off for a cone of their delicious home made produce from their own herds. There are picnic tables outside if it's sunny and a nice, safe play area for the kids to burn off some energy while you enjoy some of the best ice cream you'll ever taste.